This year is special. This is the first year my daughter will really get to experience Halloween and go Trick-or-Treating. 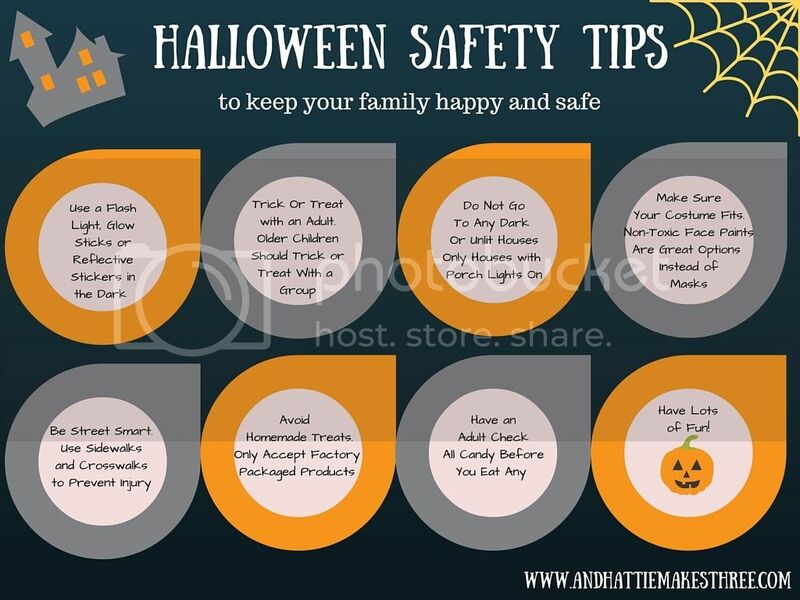 There are 2 things that go hand in hand in our house when it comes to Halloween – Hershey’s Halloween Candy and Safety. For us both are paramount when it comes to making that evening extra fun. As a parent, I have to think about Halloween differently now. Since Miss H is going to be trick or treating earlier in the evening, I put together printable guide that we’ll be using (and you can too!) to make sure she is safe, visible and warm for her first Halloween experience. In St. Louis, you never know if it’s going to be freezing, raining or super hot, so we have to plan accordingly. 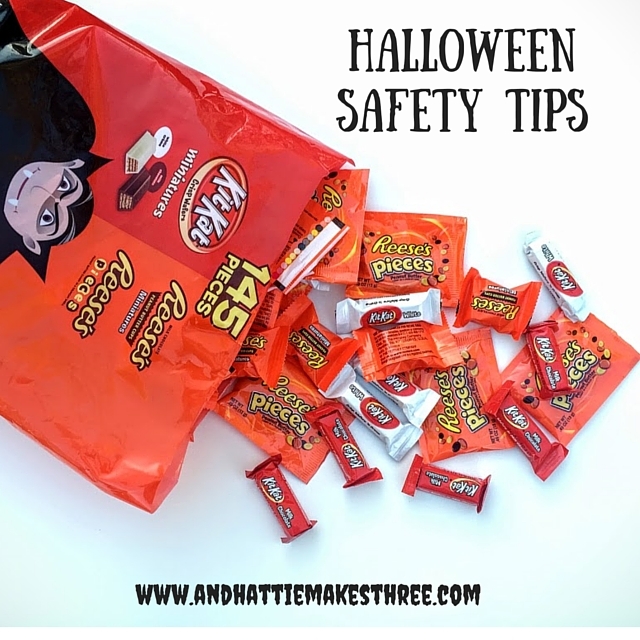 One idea we’ll be using this year is taking a glow stick necklace and putting it at the bottom of her candy tote. This will give a little bit of light in the bag before we head home to check through all her goodies. We also stocked up glow stick bracelets and sticks so that she can feel like a big girl and give us peace of mind as parents. I was able to pick up my Large Variety Packs of Hershey’s Candies at Walmart. Walmart has an extensive Halloween department and quite the assortment. I have a soft spot for White Chocolate Kit Kats so that bag definitely made its way home with me. 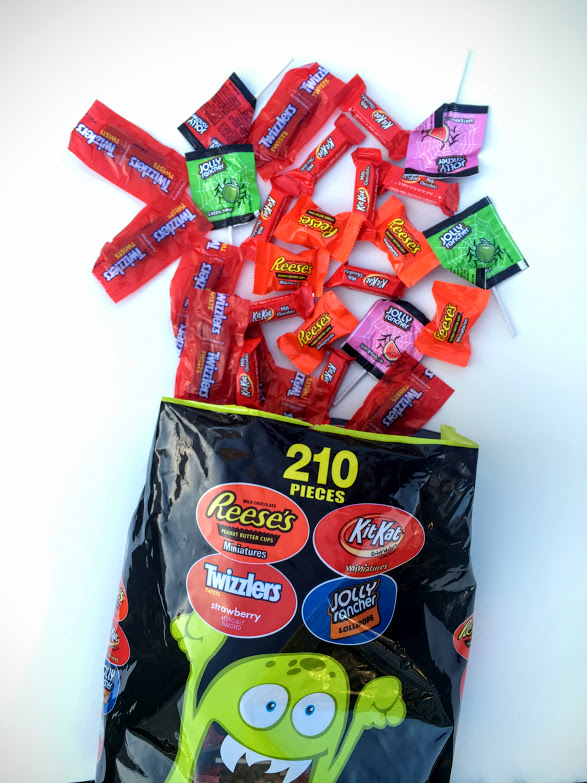 These bags are big enough that 1 or 2 bags will be plenty for your Trick-or-Treaters (and some for snacking too!) We have over 350 pieces of candy! That’s a ton! 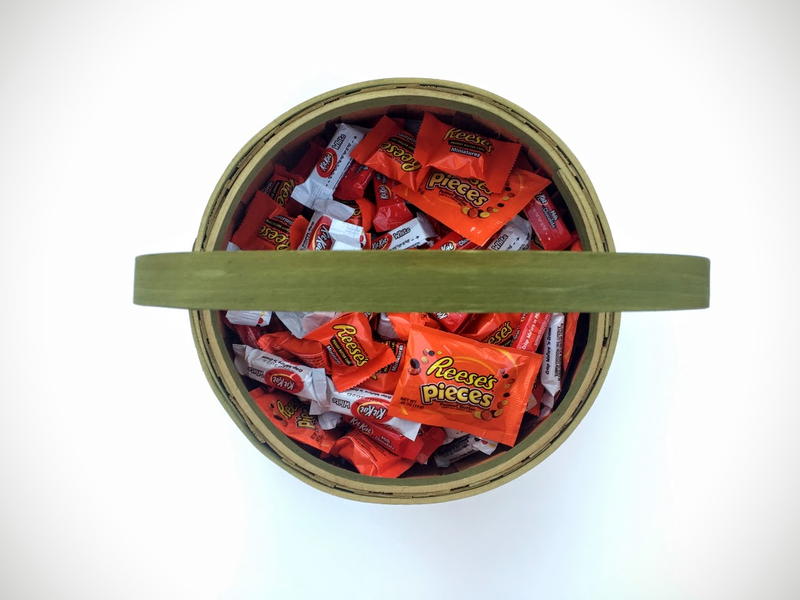 We have our candy basket loaded up and ready for Trick-or-Treaters! 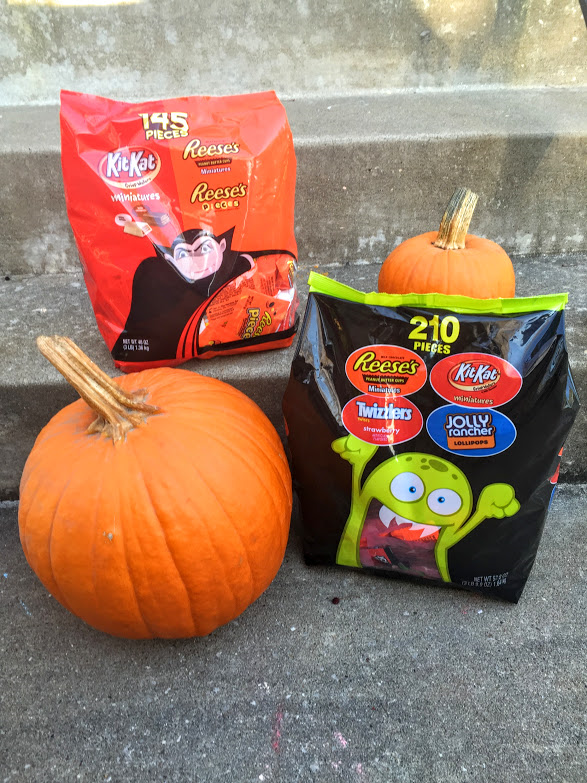 Be sure to check out more of your favorite Hershey’s Halloween Candy at Walmart! I’m partial to Reese’s Pieces and Kit Kats, what is your favorite Hershey’s Candy? Oh I love the glow stick idea! I actually have to buy candy I don't like for Halloween so I don't eat it all…. If that reese/kit kat bag came to our house, there would be none to hand out, hahah! I'm hoping its warmer this year than last year. KitKats and Buttercups are my favorites too! I have zero will power so I cant have bags of candy in the house haha. Great idea about using glowsticks for safety. Reese's and Kit Kats are my faaaaaavorite! Great idea on the glow bracelets, I bet Jude would love that!